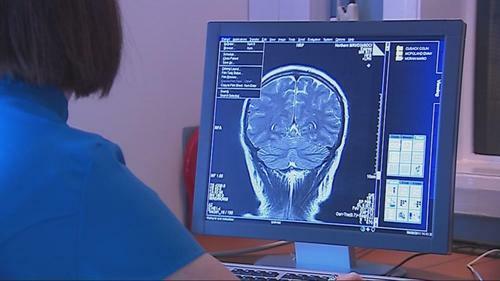 Plans to establish a MRI scanner at the Children’s Hospital to speed up and improve diagnoses of young patients are still bogged down in internal health system process more than four months after the trust assured that the issue was moving, The Detail can reveal. After an outcry at the end of February over the failure of the Belfast Trust to prepare for the scanner, which is being provided entirely through volunteer fund-raising, the trust told BBC’s In Your Corner series that the full business case was already with the Department of Health and the Health and Social Care Board for their consideration. However enquiries from The Detail over the past two weeks have established that only an outline for the business plan has been submitted – the first phase in the process – and the MRI proposal has not even moved past this stage four months on from the assurances given to the public. The Royal Victoria Children’s hospital is the only specialist children’s hospital in the UK without an MRI scanner. At present, any child who needs a scan has to be moved from the main site to the adult MRI scanner. Without a dedicated MRI scanner the Children’s Hospital has to put the sickest children first which can lead to repeated cancellations and delays. As a result children may have to undergo treatments involving radiation or invasive procedures instead of benefitting from a safe and repeatable MRI scan. Some children even have to travel outside Northern Ireland to receive a scan. As part of a previous story looking at the systems in place to manage charitable donations given to health trusts, we highlighted the campaign of the Children’s Heartbeat Trust. They are one of four charities involved in the campaign to raise £2m for the children’s MRI scanner at the Children’s hospital in Belfast and recently announced that they had reached the halfway mark in their fundraising campaign. The story featured on “In Your Corner” (made for BBC NI by Below the Radar, which also runs The Detail) at the end of February, when a representative for the Belfast Trust said the full business case was already with the Department and the Health and Social Care Board for their consideration. However, The Detail has been told by the Department that only the outline for the business plan has been submitted at this stage. The document is called a “Strategic Outline Case” which requires approval prior to the Business Case being prepared. According to a spokesperson for DHSSPSNI, the initial Strategic Outline Case (SOC) was received by the Department on 23 February 2012 and the revised SOC on 17 May 2012. This was approved on 12 June 2012, but the Department has not yet received the full business case. The Belfast Trust says that there are a number of stages involved in the process of submitting a business case and it expects the next stage to go to the department “at the end of July”. With Stormont closed for the summer, representatives for the four charities raising the money are not scheduled to meet with the Department and the Belfast Trust on the matter until September.